Constance and Nano: Engineering Adventure! The Society of Women Engineers (SWE)'s has the SWENext program , which offers great resources and outreach for students through the age of 18. They hold engineering events designed for girls, provide scholarships, hold events to meet women engineers, have cool engineering projects, and great contests. One of their newer outreach endeavors is "Constance and Nano Engineering Adventure!" 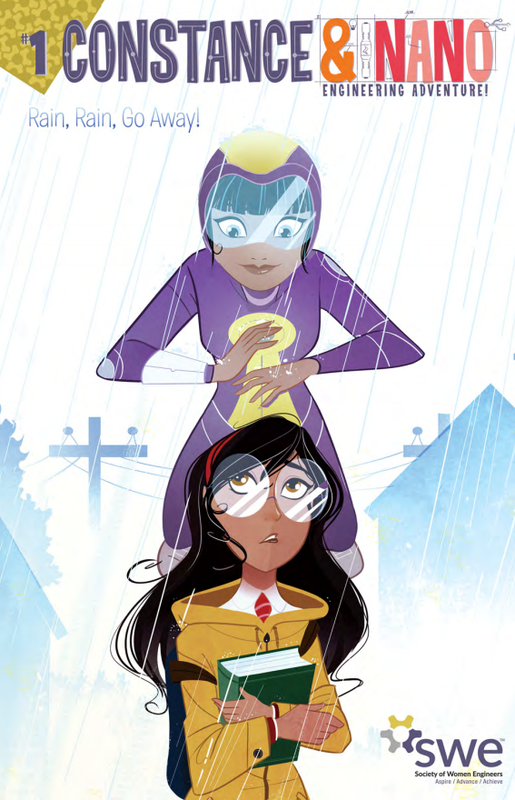 This is a comic book about friends Constance and Nano and their engineering adventures, solving problems with science, engineering, technology and math! You can even download the first issue for free HERE.